Add some factory protection for your body panels and doors with a new set of Toyota Land Cruiser Body Side Moldings. Get these factory Toyota Land Cruiser Body Side Moldings to meet the high standards of Toyota accessories. Toyota Land Cruiser Body Side Moldings are constructed of the highest quality materials to help keep your Subaru looking great and protect your paint for years to come. 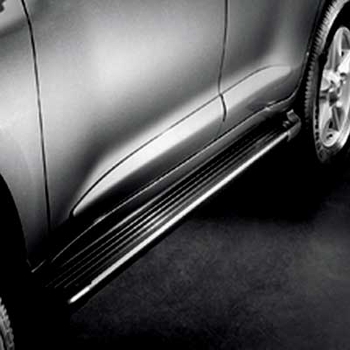 Designed for simple installation these Land Cruiser Body Side Moldings feature a peel-n-stick backing material.